The Wairarapa College First XV claimed bragging rights over Rathkeale College on Saturday with a hard-fought 8-5 win in miserable conditions at Waicol. Conditions were manageable for both teams when the match kicked off, but heavy rain quickly turned the game into a slugfest as both forward packs went to work. The teams were locked at 5-5 at halftime after Tafa Tafa had opened the scoring for the hosts, before Rathkeale winger Logan Prendeville struck back for the visitors. A tight second half could have seen the match go either way, but it was Waicol that held on for a narrow win. The win was especially important for Waicol, as they will now head into this weekend’s Co-Ed Cup final – against Feilding High School in Palmerston North – full of confidence. For Rathkeale, their First XV season has now come to an end. 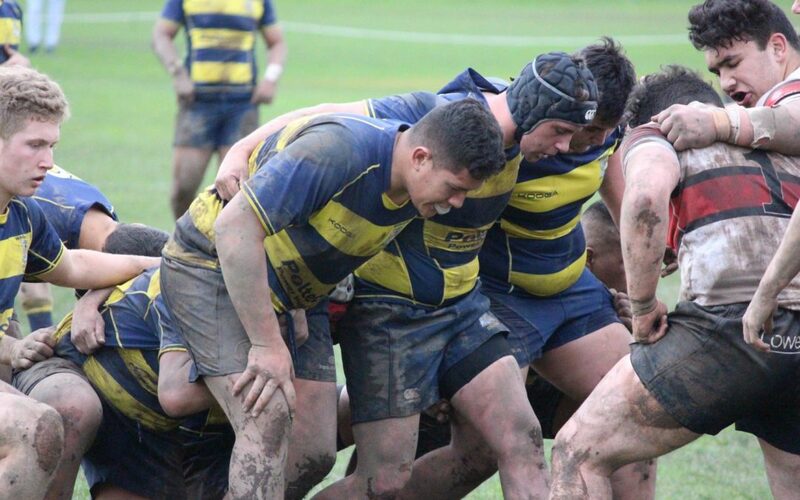 It has been a season both teams can look back on fondly, with Waicol finishing fifth in the College Sport Wellington competition, and Rathkeale finishing sixth in the Central North Island Championship. Waicol’s win was part of a remarkably successful week for the school, in which they got the better of Rathkeale in a couple of other matches as well. The match between the colts’ teams from both schools was also won by Waicol [36-27], even after Rathkeale had made a blistering start. Rathkeale opened up a 12-0 lead after scoring two quick tries, but Waicol scored two tries of their own to close the gap to 10-12 at halftime. It was 17-17 with 20 minutes to play, but three tries in quick succession gave Waicol a lead they wouldn’t relinquish. Waicol also enjoyed some success on the hockey turf on Friday night. They met Rathkeale in the play-off for fifth place in the Wellington premier 1 secondary school boys’ grade, and claimed a 1-0 win at Clareville. In the girls’ premier 1 grade, St Matthew’s Collegiate won the competition on Friday night, but Waicol also finished on a high with a 1-0 win over Wellington East Girls’ College in the play-off for third place.